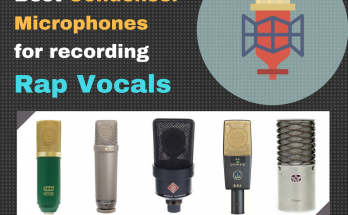 In this guide we’ll take a look at some of the best microphones for recording vocals. Quick answer: the Rode NT1-A is the best value you can get for money. The AKG Pro Audio C414 XLI is the top of the line industry standard. If you’re on a budget the Audio-Technica AT2035 is great and very popular option, found in both pro and novice home studios. You’re invited to take a look at the rest of this vocal microphone guide to see the full list of mics presented here, with more detailed overviews of each, descriptions, specs, as well as the buying guide section to help you make the best decision. 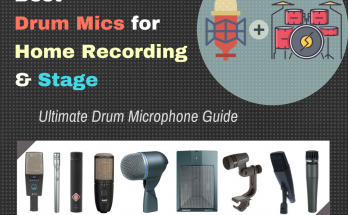 Whether you plan on recording male voices, female voices, doing a podcast or broadcast, with a warm vintage or vivid modern classic, in a treated room or noisey environment, you’ll find your perfect microphone in this guide. If you're looking for one of the best vocal microphones you can find for the money, you should really take a look at the Rode NT1-A vocal mic (often spelt RØDE NT1-A). It has been around for years, and has become one of the favorite workhorses for any sound engineer or music producer that record vocals. For the price, you'll get expert level sound quality for your songs and voice overs. You can usually find a Rodes in the home studio of a professional who knows his gear, or in an industry level recording studio. That's because Rodes is known for making truly professional level microphones, with the NT1-A being the most budget friendly microphone of its class. Spec-wise, the NT1-A vocal mic is a large diaphragm condenser microphone with a cardioid polar pattern. It has a frequency response of 20 Hz - 20 kHz, which has moderate frequency curve that gives presence to the high end. It's for this reason that it's most popular application is vocals. It is also very quiet, with a self-noise of only 5 dB due to its "ultra low-noise transformerless circuitry, making it one of the world's quietest microphones! For that reason, the NT1-A vocal mic really shines in a treated room. Another great thing about the Rode NT1-A vocal mic, is that it has a high SPL rating (sound pressure level) of 137 dB. Meaning that, for a condenser microphone, it can handle the extreme dynamics of some audio sources, like guitar amplifiers. This makes the Rode NT1-A a pretty flexible microphone that's not confined only to recording great vocals. Keep that in mind when deciding on which microphone you want to get for recording vocals. And the NT1-A sounds great! For the price (normally under 250), you probably won't find another microphone as crystal clear, honest, and pure, with a little bit of warmth that gives the impression of "body" to the vocals its used to record. When you purchase the microphone, you get a shock mount with a detachable pop filter, a high quality XLR cable, and microphone dust cover, so you'd be pretty much ready to record once you get it. Additionally, it has an internal shockmounting system that will protect it from shocks and jerks from the floor and through the stand from reaching the capsule. Bottom-line, when it comes to best microphones for recording vocals, it's very difficult to beat the Rode NT1-A vocal mic at this price. User reviews are generally very positive, and it's hard to argue with the fact this has been in used practically every professional level recording studio in the world. When it comes to budget vocal studio microphones, the Audio-Technica AT2035 vocal mic often comes at the top of the list. It's also probably the most sought after microphone as well, since it does well not only as a vocal mic, but instrument microphone, too. For that reason, it tends to be the "first buy" for many people getting into starting their own home studio for... practically anything that involves recording. Additionally, it offers a good enough quality that you can find the AT2035 in practically any professional music studio you walk into as well. 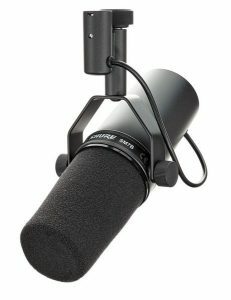 Spec-wise, the Audio-Technica AT2035 vocal micis a large diaphragm condenser microphone, with a cardioid polar pattern. You can consider this a genuinely general purpose condenser microphone, although your primary purpose would be to use it to record vocals. That means, when you purchase the AT2035 you'd wouldn't be stifled into feeling that you couldn't, for instance, record an acoustic guitar with it as well. And that's one of the nice things about the AT2035. In terms of quality, the Audio-Technica AT2035 vocal mic is considered honest, especially when it comes to budget condenser microphones. When you get into purchasing a cheaper condenser mic, you run the risk of getting something that would give you an unpleasantly bright and shrill sound that you'd probably have to do a lot of EQing to "fix." That's because of the nature of a condenser capsule. It responds very sensitively to the high frequencies, so if its not quality, it's gonna sound like trash. Gladly, the 20 Hz-20 kHz frequency response on the Audio-Technica AT2035 vocal mic provides an honest sound that, by some, can even be considered to be "warm" when recording vocals. However, this is still a fairly bright, but not too bright, microphone. Other features of the Audio-Technica AT2035 vocal mic are a switchable 80 Hz high pass filter, which you can use to roll off the bass of your voice. If you happen to decide to use this microphone on very loud of extreme dynamic audio sources, you can protect the sensitive capsule using its -10 dB pad. Also, when you purchase the AT2035 you will get the custom shock mount and a soft pouch for protective storage. Bottom-line, when it comes to the best microphones for recording vocals on a budget, the Audio-Technica Audio-Technica AT2035 vocal mic tops that list. Especially if you're just getting into building a home studio. You get professional grade quality for a very cheap price. It is quite likely that if you have a home studio, you'd already have this microphone, and would be looking for an upgrade. Either way, all can agree, it's a great "must have." It doesn't matter if you're new to music production or home studio recording, if there is one microphone on this list that you'll be familiar with, it is the Shure SM58 vocal mic. This thing is ubiquitous, meaning, it is virtually the most popular vocal microphone on the planet, and by far. It is everywhere. It's also the cheapest vocal microphone on this list, at just under 100 dollars (without the options). And it doesn't sound bad. But let's take a little deeper look at it. Truthfully, it is not easy to review the Shure SM58 vocal mic. It's a little like "what is there even to say" due to its popularity. But knowing that this microphone is probably in every serious studio you can find (as well as live rigs), it would help to shed some light on its ubiquitous nature. Spec-wise, the Shure SM58 vocal mic is a standard dynamic cardioid microphone with 50 Hz to 15 kHz frequency response. It captures natural sounds without a whole lot of frills and excitement. That means, it won't wow you with any high-definition level of audio quality, but it will get the job done, and do it well, as well as honestly. It doesn't "hype" your sounds, nor does it try to contour itself to make up for its deficiencies, and that's probably why it's the most popular vocal microphone. That said, it is very similar to another microphone, the Shure SM58 vocal mic. But the Shure SM58 is actually an instrument microphone, and so, it differs from the SM58 in a couple of important ways. The Shure SM58 vocal mic has a ball grill that contains a foam blast filter. The SM57, on the other hand, doesn't. This makes sense, instruments don't (general) produce plosive-like sounds that the human mouth will. Also, because of the size of the grill on the SM58 itself, it prevents you from getting that bass boost you'd normally get when you hold a microphone extra close to its sound source. These are two very important reasons that make it differ from the SM57. Otherwise, it's essentially the same microphone. As mentioned, the Shure SM58 vocal mic does produce, while not the the highest quality of sound, but a truly accurate and honest sound. Its cardioid polar pattern makes it perfect for hand held use, as it does a good job at isolating the sounds that are around it. There is a fairly flat frequency response in the mid-range, and a generous presence peak which is said to give it its "warmth." Bottom-line, the Shure SM58 vocal mic is certainly a must have for your studio, if only because of its sheer value as a rugged, go-to microphone that you can depend to get the job done no matter what. You won't break it for dropping it, and you can take it out with you for when you have to do any basic live audio jobs. The AKG C414 XLII vocal mic is one of those microphones that'll make all the difference in your recordings and mixing, once you start using it. It's a fantastic vocal mic, designed specifically for capturing the subtlety of singer's voice. Not only does it does it give definition to vocals it deserves, it makes decision making in a mix easier as well, as you can hear details that other microphones for less than the cost would miss, making it certainly one of the best microphones for recording vocals of any sort. At the price, it is certainly an investment, but not one you'd regret if you're really looking for top notch industry standard quality and versatility. Spec-wise, the AKG C414 XLII vocal mic is a large-diaphragm condenser microphone, with the options to choose among 9 polar patterns. That's where the versatility comes in, you can use it to record vocals, as well as singer-songwriter setups like guitar-vocals, configuration, or the room, or even pairing it with another microphone, from the polar patterns that include omni, cardioid, wide and hyper-cardioid, and figure-of-8. Another great feature of the AKG C414 XLII vocal mic is that makes it flexible is the ability choose whether you want a presence peak boost, as well as a pad to protect the capsule just in case you decide to use it on a recording extreme dynamic recording source. You'll also find the filter controls useful to filtering out unwanted low frequencies in its 20Hz-20kHz frequency response. The frequency response itself is flat, mainly in the low to mids, and begins to color and contour the high ends to bring out its signature honest yet warm sounds. This microphone is backed by being one of the first choices for professional and industry level music production studios and broadcasting studio. From its design, you've probably seen it around. Otherwise, the AKG name has been familiar in the professional audio world. This microphone in fact has been used to record many of the top songs that you hear on the radio. It would be impossible to list them all out. As, even though it is sold as "vocal condenser" mic, it's been versatile enough to be used on instruments and even drum overheads. Bottom-line, the AKG Pro Audio C414 XLII vocal mic is one of the best microphones for recording vocals that you can buy. Sure, it comes at a professional price tag, but if you're looking for the best, be prepared for the cost. 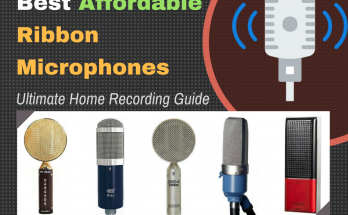 It continues to be very popular in industry standard formats, and for sing-songwriters looking for the best microphones they can find to record their songs and instruments. Many times, it's bought in pairs to add flexibility to its multiple polar pattern to use it in recording techniques like the Blumlein mic technique, which is something to consider. Otherwise, a definite recommendation you cannot lose on. The Shure SM7B vocal mic is one the best choices for male vocalists, podcasters, broadcasters, voice-over vocalists, and rock/metal. If you want a microphone that's designed to do one thing and do it well (that being record great vocals), you should consider the Shure SM7B Vocal Microphone in your options. This one of those timeless classics you really can't ignore. As an industry standard microphone, you'll find the Shure SM7B vocal mic a lot in broadcasting and voice-over studios. If you look closely, you'd probably recognize it in many radio stations images, or in any of the ones you've visited. The Shure SM7B vocal mic was designed specifically for the purpose of recording vocalists, male or female. However, this microphone tends to be most popularly used with male voices, because its great bass response. This could be singers, broadcasters, podcasters, or other spoken word audio. Unlike many of the "vocal microphones" that you'll have a choice among this list, this is a dynamic microphone. The diaphragm produces a well appreciated flat response that's perfect especially for close-miked vocal recordings. For this reason, there is a depth of sound and character that this gives a recording that is the signature of the SM7B. You can pretty much identify the sound of this microphone from the amount of warmth and body it will give your vocals. The Shure SM7B vocal mic comes with two switches on the microphone body itself. With it you can switch between the filters to change the frequency response to roll off any extra bass you don't want, or you can add a "presence boost" to raise the high-mid frequencies if you feel you need your vocals to sound more "bright." The Shure SM7B vocal mic also comes with some great features I know you'd probably appreciate. One of those features is its electromagnetic interference shielding. We all are familiar with that annoying buzz when your other electronic devices cause some interference you weren't expecting. Shure actually created in this new model the ability to cancel any of those nasty buzzing sounds. Additionally, it comes with its own pop filter cover, so you don't need to get any additional pop filter when you buy this microphone. Bottom-line, the Shure SM7B vocal mic is a microphone that won't disappoint you. This is not only one of the best microphones for recording vocals and speech, overall, but also probably one of the best vocal microphones, period. If you primarily record male vocals in music, and you want something that will give your voice that professional "radio finish" in a podcast, you should definitely consider getting this microphone. You can't go wrong with the industry standard. If you plan on recording in an untreated room with some amount of noise, you should definitely check out the Electro-Voice RE320 vocal mic. The Electro Voice RE320 vocal mic is a dynamic microphone that usually costs under $300, and provides really great sound quality that isn't "compromised." And it does so in less than ideal recording situations. It was designed specifically to be a microphone for vocals as well as instrument recordings. And with it, you have the options to record podcasts, songs, electric guitar amplifiers, and even a kick drums. It's versatile enough to record every track of a multi-track song recording! Mostly, the Electro Voice RE320 vocal mic is known for being one of the most popular broadcasting microphones. It even has the "industry standard" look. This is primarily because of the popularity and huge success of its older sibling, the Electro Voice RE320 vocal mic. But to facilitate the music home studio/recording studio users out there, Electro-Voice came out with the Electro Voice RE320 vocal mic for the purpose of being a microphone more suitable for music production. Most home studio owners often opt for a large condenser microphone, because with a large diaphragm condenser, you can get sensitivity in the low ends, and clarity in the highs. With the Electro Voice RE320 vocal mic you get a similar clarity in the high ends, but even more authoritative low ends due the it being a dynamic microphone. The latter fact is what makes this microphone perhaps ideal if you were, say, to record male vocals. Condensers naturally respond really well to female vocalists. But to accurately capture the roundness and depth of a male vocalist, your most satisfactory results would come from a high end condenser microphone. If you don't have that money to spend, of even if you're looking for another option, the RE320 really serves as an excellent alternative to the typical buying options. Spec-wise, the RE320 is a dynamic microphone, with a front-address cardioid polar pattern. It responses to frequencies from 30Hz to 18kHz. However, you have a really cool option to shift it from either "voice/instrument mode" to "Kick Drum mode." In voice/instrument mode, you get a flat frequency response of 150 Hz to 3 kHz, with a presence peak of +5dB between 5 kHz to 6 kHz. In Kick Drum mode, the low mids are cut to minimize muddiness, and a presence peak of +8dB is added at 4 kHz for more air and clarity. It has the Variable-D pattern control, which keeps the microphone from off-axis tonal shifts. Large diaphragm condensers tend to lack off axis rejection, so that's one benefit of this high quality dynamic. Also, the RE320 has its own internal pop filter, meaning no need to purchase one with your order. Bottom-line, the Electro-Voice RE320 vocal mic is an amazing microphone. It could easily be placed at the top of this list. In terms of versatility for a high quality dynamic, it's almost matchless. And at this price, it's unbeatable. Certainly one of the best microphones for recording vocals on this list or any list. A definite recommendation. Beyonce, Justin Timberlake, Celine Dion, and others, use the Neumann TLM 103 vocal mic as their primary vocal microphones in their recordings. It is a music industry benchmark that was created with the "project-studio" owner in mind. Whereas many of the other microphones that I mentioned in this list are generally "industry standard," (meaning, you find them in regular circulation in professional studios) the TLM 103 is one of those microphones that caters to the specific needs of an individual. Particularly, for singers, songwriters, and acoustic instrumentalists, either as a chart topping professional, or as a high-end hobby. The Neumann TLM 103 vocal mic will give you audiophile level sound quality that users have found both professional and inspiring. And despite its price (usually around $1,300 on the street) it's actually one of Neumann's' "more affordable" microphones. For that reason, it has fewer buyers -- but the majority of those who have used it have never turned back. Spec-wise, the Neumann TLM 103 vocal mic is a large diaphragm condenser microphone, with a cardioid polar pattern. It has a frequency response of 20 Hz to 20,000 Hz, with a very useful high-pass filter you'd find handy for switching between attenuating frequencies below 40, 80, and 160 Hz. You also have 3 pads to choose from, -6 dB, -12 dB, and -18 dB are optional to use if you plan on recording loud audio sources at high quality. It's also super quiet -- with a self-noise of 7 dB. For that reason, this is ideal for treated rooms, since users have noticed that it's so sensitive, it will pick up sounds you'd otherwise miss. But because of how quiet it is, and how sensitive the capsule is to air pressure, the Neumann TLM 103 vocal mic makes for the most acoustically sensitive cardioid microphone you can find in its class. Some other features that the Neumann TLM 103 vocal mic has going for it is the wire mesh, which can help to reduce pops and plosive sounds. It has rather high SPL (sound pressure level) rating of 139, making it suitable for loud audio sources also, and since it is transformerless, you won't experience any interference from other devices, like cell phones. Bottom-line, the Neumann TLM 103 vocal mic is probably the best microphone for vocals on the market, for the money. Sure, you can spend 8,000 dollars and really get something special like a Bock 507 or Telefunken U47, but for a microphone under 1,500, you'd be hard pressed to find a better alternative. If you're really committed to getting the best vocals, and you have the budget, I'd suggest this as your first option. If there is one word to describe the Rode NTK vocal mic, it is "balance." What this microphone is good at is giving far greater value than you would expect for the price. There is a nice balance of high-end tube microphone quality, and a fairly low cost, considering that you can get results from this mic you'd usually expect form those costing more than a grand. The Rode NTK vocal mic is particularly for those looking for a condenser, but know that getting a "really good condenser" would cost you some decent coin, like thousands of dollars. With the Rode NTK vocal mic, users have come to expect the "best of both worlds of budget and quality" when it comes to choosing the right condenser for recording high quality vocals. Spec-wise, the Rode NTK vocal mic is a tube condenser microphone with a cardioid polar pattern. It has a frequency response of 20 Hz to 20 kHz. It comes with its own dedicated power supply, 30 inch power cable, stand mount, and zip pouch. Being a tube condenser, you'll need to warm it up for up to 30 minutes in order to get the best quality... a small price to pay for what is otherwise the unparalleled warmth of a tube microphone. Also, it is highly sensitive, meaning that noisy environments is not idea for it. That said, the Rode NTK vocal mic is a modern classic, becoming a staple in many home studios. The sound has been characterized as "smooth, silky, rich," making it a great choice for male vocals. Female vocals do well also, adding a natural richness that would impossible to EQ with another condenser. In fact, many users have reportedly stated that, outside of some compression, there was no need to use EQ plugins on vocals recorded with this microphone. The Rode NTK vocal mic is a vocal microphone, that is its specialty. But it is also known to be applied as general purpose mic. We've seen professionals use it on a bass amp, for instance. This makes sense, as the NTK would capture the warmth of a bass instrument or amp in a way that would make it shine in a mix. But that makes this microphone also very good for sing-songwriters who do recordings with their acoustic instruments. Bottom-line, the Rode NTK vocal mic is a marvelous tube vocal microphone. Like a few other choices in this list, it is ideal for singer-songwriter vocalists, especially. But if you've been searching for that luxurious tube condenser sound, the Rode NTK vocal mic is a great buy. Within reason, it certainly hasn't disappointed any of its lucky owners. Speaking of "affordable" vacuum tube condensers, there is another awesome option that you can look into for your home studio, and it's by the same company. The Rode K2 Tube Vocal Condenser Microphone is a great alternative that offers multiple polar patterns to choose from, instead of just one. 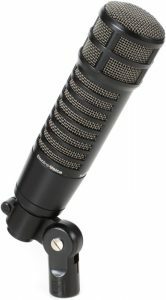 It costs a little more, but is one of the few microphones that gets consistent 5 star ratings across many online retailers. Spec-wise, the Rode K2 vocal mic uses a large dual-diaphragm condenser. The vacuum tube in this condenser uses a hand-selected and graded 6922 twin-triode tube. 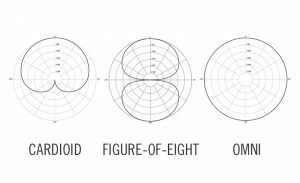 You have the options of selecting between Cardioid, Omni, and Figure-8 patterns. It has a self-noise of 10 dB, which is lower than many other tube microphones, especially or the price. And to make sure it is stays quiet, it comes equipped with its own internal shock mounting system for low ambient noise, with the ability to resist vibrations. It comes with its own power supply as well, shock mount, and carry case. But just as I mentioned about the Rode NTK vocal mic, you will need to warm this up for about 30 minutes in order to juice out the greatest sounds from your vocal recordings. Those who have used this Rode K2 vocal mic have commented on it being rich and warm, which is the quality you should expect from a vacuum tube microphone. It has a pretty heavy "tube sound," if you are looking for that kind of classic, vintage effect. And users also found the variable pattern control to be useful and dialing in on the right pattern between selections. Being a specialty vocal microphone, it is not limited to just capturing awesome sounding vintage vocals, whether for songs, voice-overs, or podcasts. You can get classic vintage sounds from other instruments as well, all the way from a guitar amplifier, to drum overheads. That's thanks to its fairly high SPL rating of 162 dB. Bottom-line, the Rode K2 vocal mic is another great tube microphone on this list. It's best application is for voice, and as a specialty microphone, it really is the best choice for you if you are particularly looking for a deep, warm, rich vintage sound. And comparably, since the Rode NTK vocal mic has a fixed directional microphone pattern, the Rode K2 vocal mic offers a little more flexibility in that regard. Some singer-songwriters and podcasters really rely on this for a classic sound in a modern mic. If that is you, then this is the microphone to get. The Warm Audio WA-87 vocal mic is great buy if you're looking for a great warm large condenser microphone for your vocals. Why are warm condenser microphones such a big deal? Well, for one, they emulate the classic sounds of vintage microphones. But perhaps more importantly, condensers, being highly sensitive in the highest frequencies, can easily producer a brittle sound. So when purchasing a condenser microphone, the ability for it to translate warmth into a mix really balances well with the level of sensitivity you will get from the highest harmonics. That said, the Warm Audio WA-87 vocal mic wasn't only created as modern classic that emulates the old. It is was created to emulate a very specific vintage microphone that is no longer being made: the Neumann U87. Those who have had the original Neumann, going all the way back to the 60s, have found that Warm Audio WA-87 vocal mic is actually very much similar. This is great, because the U87 was famously used by the Beatles, as well as to record the vocals "Stayin' Alive" by the Bee Gees (from just one microphone!) Neumann does offer a newer version to the U87 (AI), but it is not the same, and closest that can compare is the Warm Audio WA-87 vocal mic. Spec-wise, the Warm Audio WA-87 vocal mic is a large diaphragm condenser microphone, that utilizes multiple polar patterns. You can choose between Cardioid, Omni, and Figure-8. It has a naturally sounding frequency response of 20 Hz to 20,000 Hz, with a high pass filter switch which you can use to attenuate anything below 80 Hz. It offers a -10 dB pad for protection against loud sounds. When you purchase the Warm Audio WA-87 vocal mic, you get a shockmount, hard-mount, and a wooden storage box for safe keeping. Those who have used the Warm Audio WA-87 vocal mic have had really great things to say about its classic and vintage sound. It's kind of hard to argue against the classic sounds of the 60s and the 70s most famous vocal records. What's more, it costs only under 600 dollars. If the original U87 still existed, you most certainly would be paying upwards of a 1000 dollars or more! That makes this microphone a "steal," and lucky is the man or woman who decides to use this, even though it may not be more popular than its Rode equivalent. Bottom-line, the Warm Audio WA-87 vocal mic is just as its name says, a warm sounding microphone that is specialized for making vocals sound silky smooth and clear, without any of the biting or shrill sounds you may risk getting from even the more expensive alternatives. If you were considering a microphone for vintage sound, take this one into consideration. Once you hear it, it's very tempting to not say no. You might've realized that trying to find the right microphone is not easy. Even for a pro. There are tons of mics out there, and they all serve different purposes, and have different strengths and weaknesses. Not only that, there are different qualities, brands, makes, and models. The last thing you want to buy is a product that wasn't properly reviewed, and gave you a result you weren't looking for. However, this vocal microphone guide was sculpted to help making a buying decision easy, practical, logical, and simple. Without trying to cut any corners or make any unusual claims. 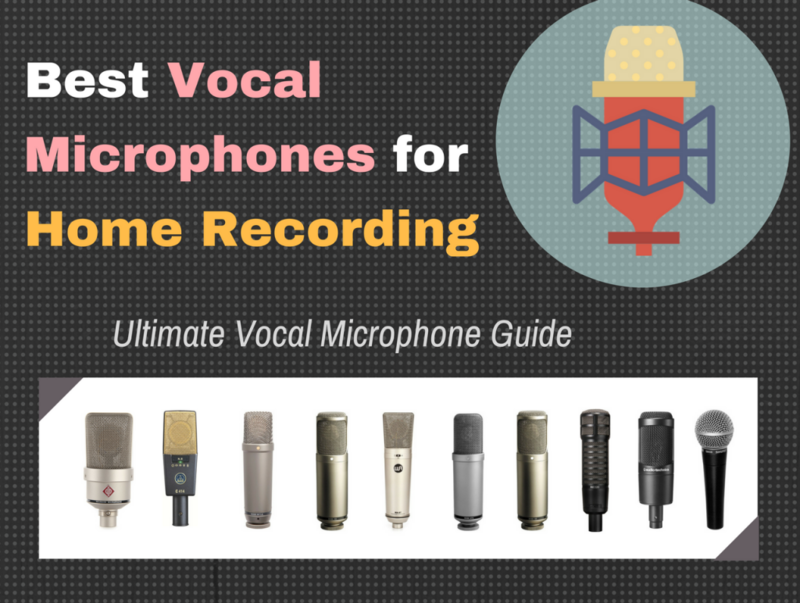 So let's look at the various types of microphones for vocals that are covered in this guide. You'll notice that reading this will actually help you make a better decision. This is especially true if you happen to be fairly new to microphones. What sort of environment are you recording in? #1 - Who are you recording? #2 - What sort of environment are you recording in? Using the process of elimination, you should be able to identify which of the above considerations are your own. Now, let's talk about what sort of microphones will be best for each of the above. You have the options to get something that reproduces a vintage warm sound for your vocals, or one that's more modern and crisp. Many of the condensers mentioned here are great for recording acoustic instruments really well, in case you wanted to record yourself while performing guitar. That said, you'd normally need a fairly well treated room or microphone isolation shield, a pop filter, and shock mount. Condensers are super sensitive, and will pick up a lot more than you think you would hear. Also, they require phantom power to work. Many of the options in this list already come with their own pop filter and shock mount. And for power, you can use an audio interface that comes with a built in preamp. If you're a producer, you have a generally wider option. Female vocals do generally very well on large diaphragm condensers. But if you do male vocals, or aggressive vocals, many producers like to turn to the dynamics mentioned in this list. That's because dynamic microphones capture the depth and body of these types of vocals without getting "harsh." You generally don't need a pop filter with dynamics. And dynamic microphones also generally don't pick up ambient sounds as easily as condensers. So if you have a quiet enough room, you may not need to get an isolation shield. If you record podcasts, do broadcasting or voice-overs, it's recommended that you get a high quality dynamic microphone. The benefit of a good quality dynamic is that they work well in an untreated room and don't pick up a lot of ambient noises. And if you are a male vocalist, they'll capture the bass tones of your voice with more authority than a typical condenser. Alternatively, if do record or broadcast from a treated room environment, you can choose from a couple of the classic condensers in this guide. This is especially if you find it important to bring out the subtle nuances of your voice for spoken word recordings. Otherwise, the dynamics in this list are your best bet. Your microphone can be either "front address" or "side address." Meaning that you "point" the microphone either from the top (like pointing your finger), or you set it up vertically and sing into the side of it. Broadcasters and performers are most often seen using front address microphones, and you will often see side address microphones in a recording studio. Regardless of which "side" the microphone is listening from, they may have the ability to change their "listening direction." This is called the polar pattern. Knowing about polar patterns can be really helpful in making a decision. For instance, if you want to record a group of musicians around one microphone set up in a room, you should get a microphone that has an "Omni-directional" polar pattern option you can select. If, however, you want to record a duet side-by-side from one microphone, a figure-of-8 microphone will do the trick. This also the pattern often used when recording via the Blumlein or Mid-Side technique. Finally, if you just want to record from one vocal source and isolate out much of the sounds from the back or sides of the microphone, you need a cardioid microphone. That said, you really only have two option: a cardioid microphone, or a multi-pattern microphone that offers all the major pattern selections with a switch. A microphone's frequency response refers to how sensitive it is at reproducing low to high frequencies. Naturally, the lower the frequency range of a microphone, the better it is at capturing the accuracy of the bass in a voice. The higher the frequency response, the better it is at giving "definition" to a vocalist's speech or song. Large diaphragm condenser microphones generally have the widest frequency response, but with more authority in the higher frequencies, giving them a sharper and more "defined" sound. Dynamics, on the other hand, have a generally narrower frequency response, with a more natural sounding response in the bass that's usually lacking in a condenser. Some condenser microphones come with a "pad" to lesson the air pressure reaching its capsule. This is to protect it from very loud sound sources and prevent any distortions, just in case your vocalist gets super loud or you want to use it on a guitar amp. You can often switch between "filter" settings on dynamic and condenser microphones. Usually, you will be able to cut out some of the bass frequencies from your audio source to reduce any unpleasant rumbling. And as I mentioned before, you can choose from a microphone that already comes with some essential accessories. These would be a pop-filter (to protect against "plosives") and a shock mount (to keep the sounds of the stand and floor vibrations from reaching the sensitive diaphragm). That about covers the basics of what you need to know in how to choose the best microphones for recording vocals. What is the best vocal mic for live performance? From a technical standpoint, the Shure SM58 isn't the finest vocal mic available–not by a long shot. But there are many reasons why it has littered stages the world over for many years, and quite a few more reasons why it is our top pick as best mic for live vocal performances. Don’t get us wrong: the SM58 isn't a bad mic per se. In fact, its sound is remarkably accurate and honest, with a fairly flat frequency response. But if clarity, detail, and precision are your primary goals, the humble SM58 is bested by pretty much every decently spec’d condenser out there. So why is it our top live pick? Simply put, the SM58 delivers reliable and consistent performance even under the most unforgiving conditions. It takes a beating and keeps on ticking as they say, and you simply won't find a more durable and reliable mic. It also helps that it is quite inexpensive, which helps keep costs down when you inevitably need a replacement after one too many nights on the road. What is the best cardioid vocal mic? The Rode NT1-A (or RØDE NT1-A, if you prefer) is a popular choice among the most discerning audio engineers for good reason. It is by far the most feasible way to get pro-level vocal recordings without having to spend a bundle in the process. For the money, you get the trademark Rode quality, which is a pretty formidable pedigree in itself. The large diaphragm design enables you to capture every detail with remarkable clarity and precision, and the cardioid polar pattern ensures that very little of the sound off dead-center is picked up. The NT1-A has a respectable 20 Hz to 20 kHz frequency response, which is more than adequate for most vocal recording applications. There is a slight curve around the upper midrange to the top end that adds presence and further enhances clarity. This–along with the low noise–is one of the main reasons why the NT1-A is one of the best available options in cardioid vocal mics. Which mic is best for vocal recording? With so many fine microphones in this lineup, we had some difficulty coming up with a top pick for best overall vocal recording mic. After much deliberation however, we had to give the plum spot to the AKG C414 XLII. While many other mics on this page can capture vocals and other sound sources with equal capability, the C414 XLII is designed specifically for vocals. This will immediately become apparent once you begin using it, as the richness, depth, and clarity that it imbues your tracks with are almost surreal. Like the best vocal mics, the C414 XLII is a large-diaphragm condenser. It is actually quite a bit more versatile than other vocal-specific mics, due to the nine polar pattern options provided. With this mic, you can set up any number of esoteric recording methods simply by flicking a switch. Admittedly, the C414 XLII is a bit pricier than most of the competition. But if outstanding vocal recordings are a priority, you will find the cost to be more than worth it. What is the best type of mic for vocal recording? Although most any mic can be used for recording vocal, there are certain qualities that make some mics better suited than others. In general, large diaphragm condenser mics with a cardioid pattern setting provide the clearest and most accurate results, with better transient response and enhanced high end detail. Condenser mics are equipped with thin conductive diaphragms that are positioned right up against a backplate. This design relies on capacitance to produce the audio signal, as opposed to moving coils. Condenser mics therefore have better fidelity and sound quality, making them ideally suited for vocal recording. Sonic clarity is further improved with a large diaphragm design. All other factors being equal, large diaphragm mics are more sensitive to changes in sound pressure levels. This results in a more natural and more transparent sound. Finally, you will generally want a mic that has a cardioid pattern setting when recording vocals. This design captures only the sound from the front of the mic, blocking out most everything else. This feature is especially important for recording in environments where some ambient noise may be present. Hopefully, you were able to identify what sort of microphone you needed from the buying guide section of this article, and isolate your choice through the table and the description of each microphone. 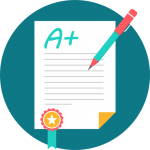 And also hopefully, this post would've helped you in making what is otherwise a difficult and arduous task of reading through several reviews, researching, and sorting through a lot of information to get to your perfect microphone. If you were just reading this out of curiosity, or perhaps you already have some experiences with microphones, especially microphones for vocals, feel free to chime in with your own valuable opinions and experiences, which may help others reading this guide. If you found this guide helpful, and know someone who also would find this information useful, feel free to share this with them using the sharing buttons found on the screen. This is the result of hours and days of combing through the internet to find the best microphones for recording vocals available to buy. Data from forums such as Gearslutz.com, Reddit’s r/WeAreTheMusicMakers thread, product reviews, and buyer reviews from pro audio owners were compile to come up with a list, and examine which ones were the most popular and had the most positive user experience. We also used ratings from Amazon as well as other online retailers to determine which studio microphones per category and price range was the best rated, and had the most ratings, and then compared that against forum reviews, user testimonials, and personal experience (where applicable). Next Article 10 Amazing FREE Drum Software Instrument Plugins to Download Now!